· Pour the Vanilla essence into the 3 medium beaten eggs. 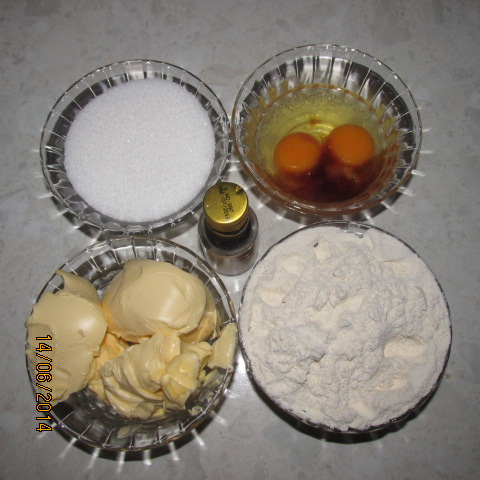 · In a separate bowl whisk the butter and sugar together in a bowl until fluffy and pale. · Slowly add in the Vanilla infused beaten eggs. 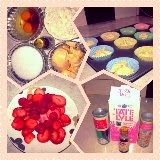 · Fold in the flour using a spatula until the ingredients are fully mixed together and have a smooth consistency. 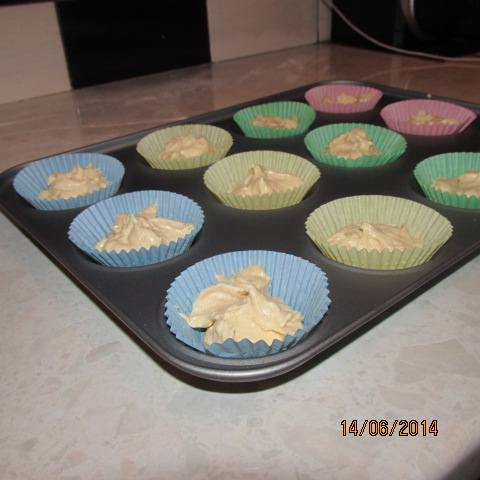 · Pour the mix into small cupcake cases. · Bake for 25-30 minutes until a fork inserted comes out clean. 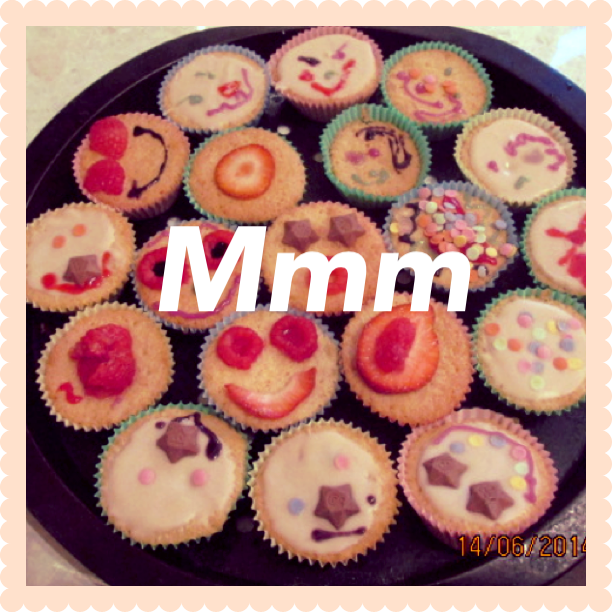 After the cupcakes have baked in the oven for as long as they needed to I let Junaid take over and Go Crazy with the Cupcakes! and after a little assistance this was his final result.